Eating - Charlotte eats a vegetable AND a fruit for lunch and dinner. She drinks water with her solid foods which isn't her favorite, but she tolerates it. She can even hold her bottle all on her own! 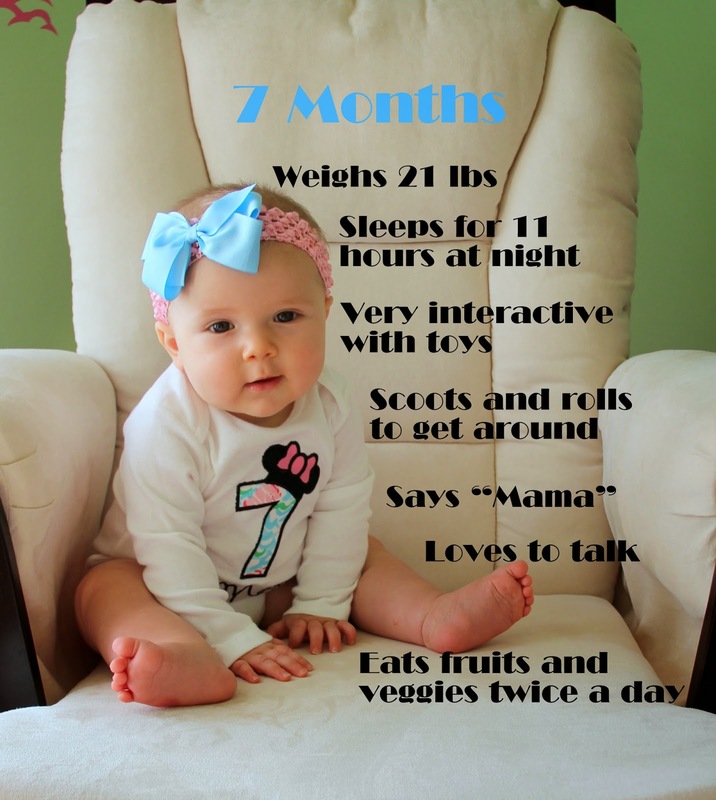 We started practicing motor skills with puffs and she has already come a long way in just a few short weeks. She can pick them up one by one and feed herself, which comes in super handy to tide her over between meals. Sleeping - We are so blessed in this department. Charlotte goes down between 7 and 8 without much of a fuss (last month she had to cry it out, but now she goes right down). She gets a bath then a little bottle and down she goes. We won't hear from her again until around 6 the next morning! Charlotte loves to talk and make noise as much as possible. She doesn't like being hungry or dirty diapers. In fact, that is really the only time she fusses. She is so close to crawling and gets frustrated after a while when she can't reach the things she wants to. 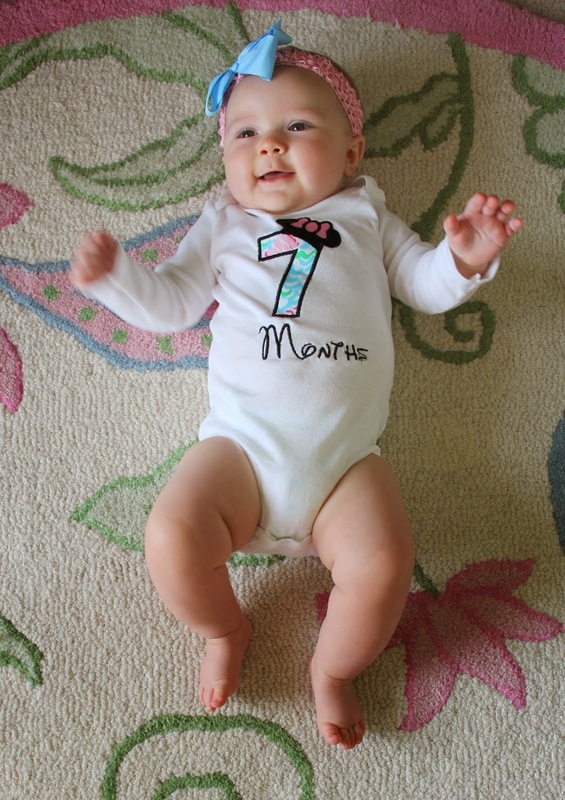 She can scoot, roll around and get up in the crawling position, but not quite ready to crawl. 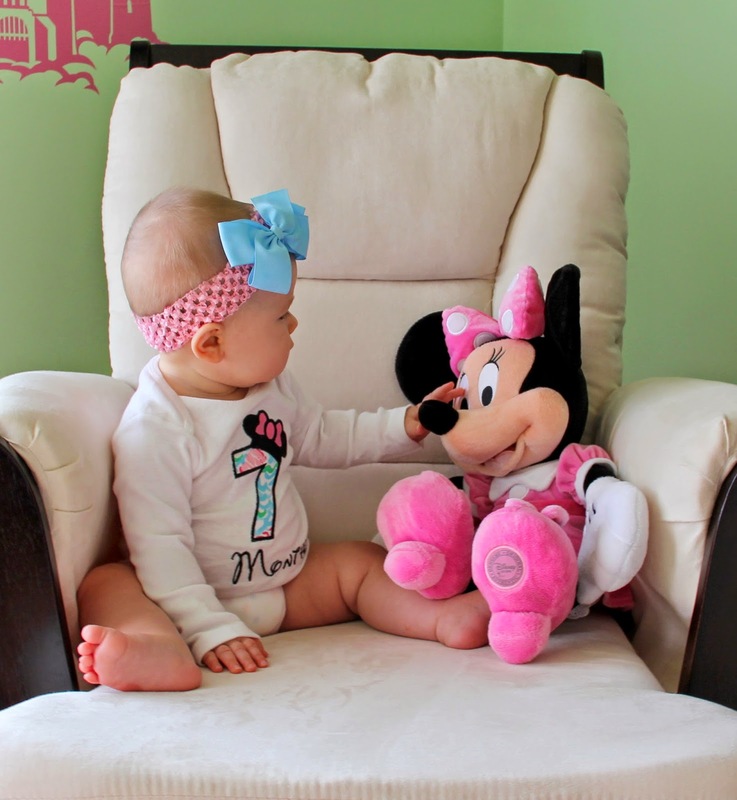 Still curious about Minnie, but not as perplexed as she used to be! We are loving every minute of this sweet baby and I can't wait to see what the next few months bring. My favorite time of the year is just around the corner and I can't wait to celebrate all of Charlotte's firsts! Not to mention we have two more Disney trips planned for the remainder of the year, so being excited about the next 4 months is an understatement by far! Linking up with Molly for Let it Shine Monday! Your gorgeous Charlotte is a little peach. Love reading her baby updates. She is doing very well. She is a mini fashionista, also. 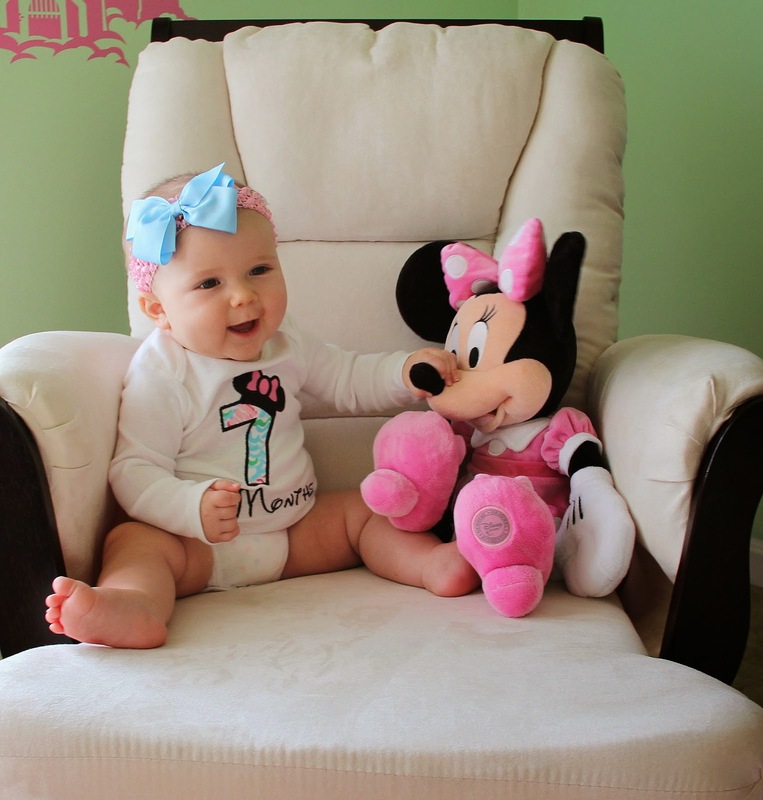 =) Love her Hot Pink Minnie.